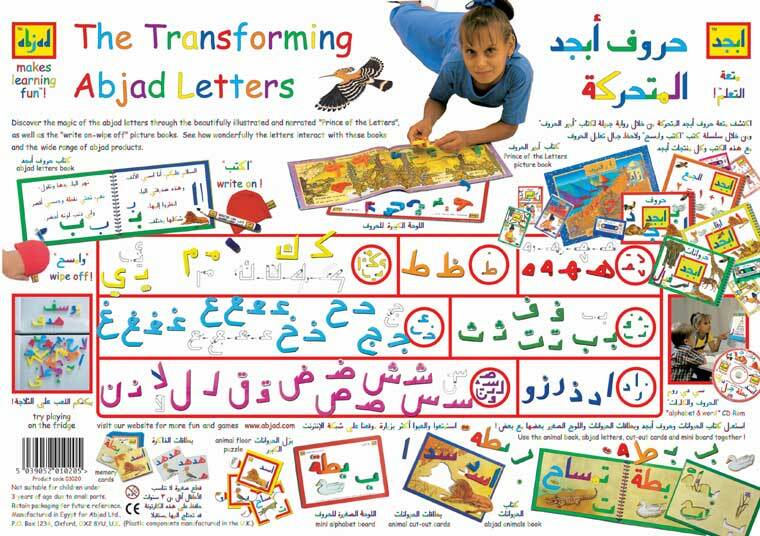 53 pieces withAbjad Board (A4size).These high quality plastic letters make REAL Arabic words, thanks to the unique Abjad transforming and connecting system ! 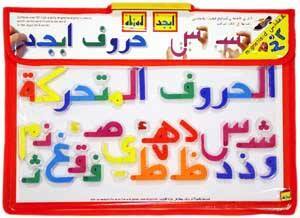 There are enough duplicate pieces to write almost any Arabic word! 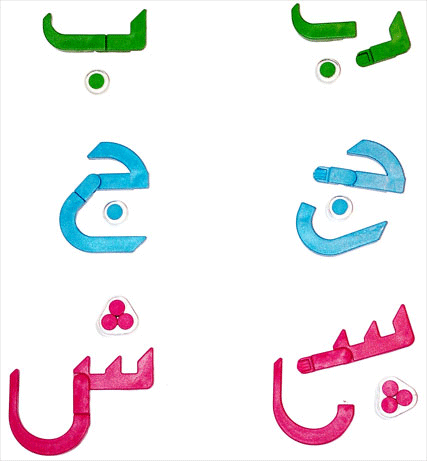 With their strong magnets, letters snap to the Abjad board - the ideal surface for playing with the letters and storing them. 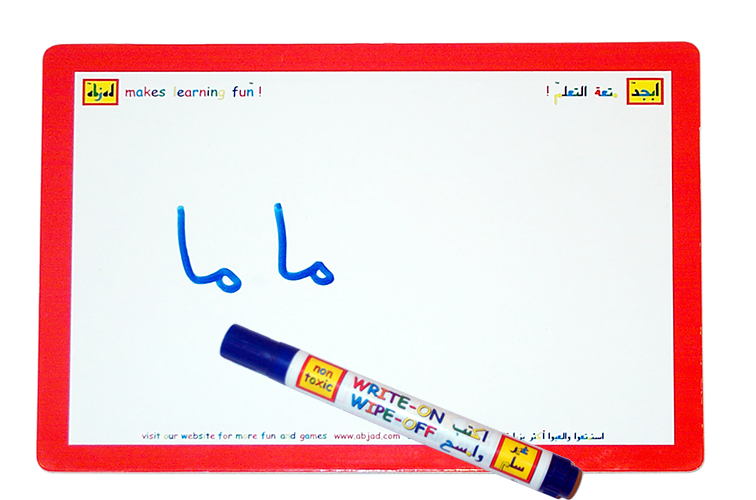 In conjunction with the Abjad Pen and Eraser Mitten, the board serves as a 'write on – wipe off' whiteboard.